It’s not often a player shoots a pair of impressive 68s to lead at Royal Dublin and ends up overshadowed by a player two shots behind him. But Warrenpoint’s Colm Campbell was happy enough to head the Flogas Irish Amateur Open by two shots on eight under par and take his hat off to 17-year old England international Marco Penge, who clipped a shot off Gavin Moynihan’s year old course record by going around the old lady of Dollymount in an immaculate, eight under par 64. As the wind switched overnight from south to north but never gusted above 20 mph, the elegant Golf at Goodwood player seriously impressed watching Great Britain and Ireland captain Craig Watson and selector Michael Burns as he pencilled in two eagles and four birdies on a blemish free card. 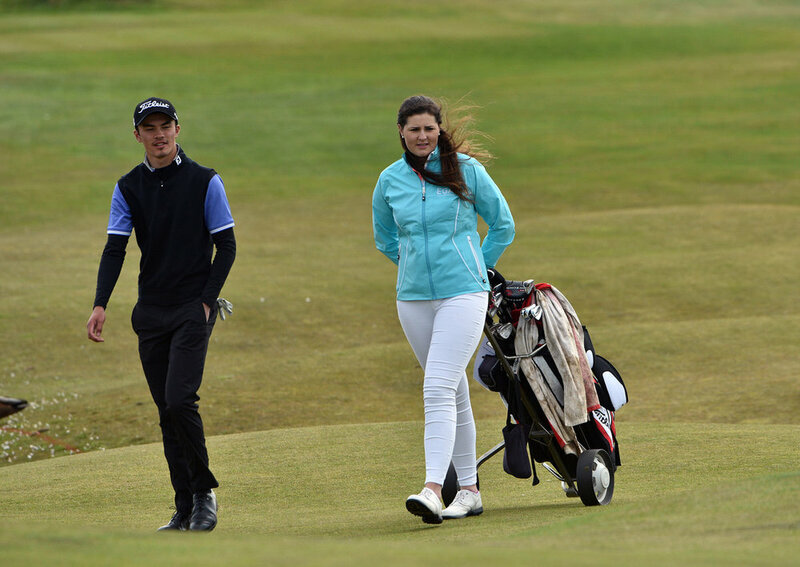 The winner of back to back Fairhaven Trophies for under 18s in 2013 and ’14, Penge took a major step forward last year by winning the Peter McEvoy Trophy and the Scottish Amateur Championship. He’s considered one of the leading contenders for next year’s Walker Cup side to face the US at Los Angeles Country Club. But so keen is he to try his hand at the European Tour Qualifying School in the autumn, he’s unsure exactly what he will be doing in 16 months’ time. Even his putting grip can change from one day to the next, as he proved yesterday by abandoning the cack-handed method that yielded an opening 74 and returning to the conventional style for a 64 that leaves tied for second on six under par alongside Irish Close champion Tiarnan McLarnon from Massereene and the Isle of Man’s Tom Gandy, both of whom shot 69s. 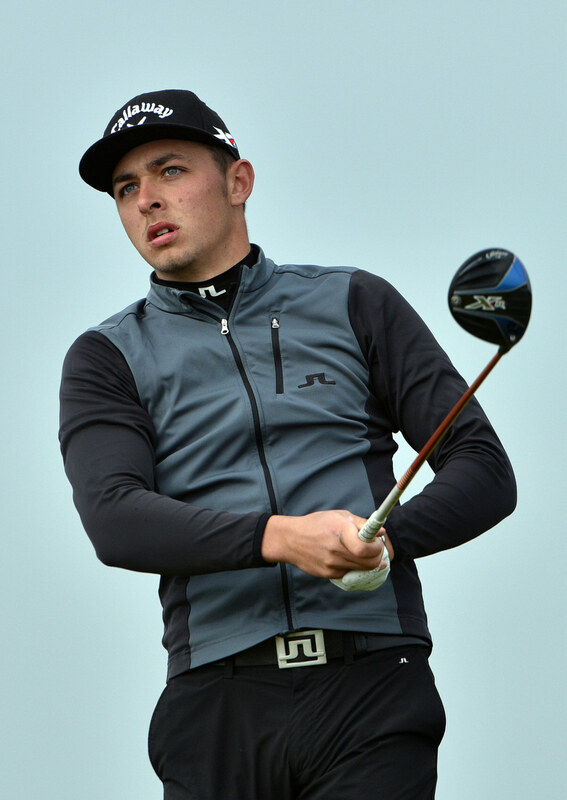 Overnight leader Jack Hume from Naas, who failed to take advantage of the downwind holes en route to a level par 72, but lurks just three off the pace on five under alongside Waterford’s Eanna Griffin, who took five at the last for a 69 after his tee shot kicked right into the drain. What’s more remarkable about Penge’s round is that he pulled an intercostal muscle in his ribs on Wednesday that not only curtailed his preparations but also required physiotherapy and acupuncture. In what is another clear entry for the “beware the injured golfer” files, Penge eagled the second thanks to a two iron to six feet and holed a 45 footer for birdie at the fourth to turn in three under 32. He then played the downwind back nine in five under 32, lipping out from eight feet for eagle at the 11th before two putting the 14th for birdie (he reduced the par-five to a driver and a seven iron to the back right before getting up and down) and then holing a 40 footer for an eagle two at the 16th, where he hit a three wood onto green. He then birdied the 17th, feathering a wedge out of the left rough to 15 feet and holing the putt to go eight under before safely parring the last for a 64 that made playing partner Robbie Cannon’s 68 for a level par 144 look positively pedestrian. Champion in 2013, Cannon was five under for his own round and bogey free playing the last but despite putting an iron in the drain off the tee and finishing with a bogey, he was in good spirits. "That was a pleasure to watch," Campbell said Penge's superb round as he ended the day on level par in joint 20th alongside the likes of John Ross Galbraith and West of Ireland champion Jonathan Yates, who recovered from opening 75s with three under 69s. Campbell made three birdies and seven birdies in a 68 that could have been better had he not lipped out from four feet at the 17th and then burned the edge from 20 feet at the last. “A 64! That’s a serious round of golf here,” 29-year old Campbell said of Penge’s effort. “It’s hard to break 70 here, so to go six better is very impressive. Keen to add to his 2014 East of Ireland win, Campbell is hoping his experience will pay off, explaining: “Hopefully if I get myself into position on Sunday it will help me get over the line and I can get that other win I have been looking for." As for his round, Campbell was more than pleased with the total even though he played well enough to go lower. "I knew if I could get to one under for level par after nine there were chances coming in," he said, explaining that he missed two good eagle chances on the 14th and 16th from 15 feet. "It is ice to be playing well, giving myself chances and not putting myself in any danger off the tee.. I am driving the ball well and giving myself chances. "The front nine was tricky and you had to be committed to ever club. I was thinking anything one or two under par wold be a goodscore and we managed to go a couple better. But there is a long way to go, especially around this place and hopefully come Sunday evening we will not be far away." 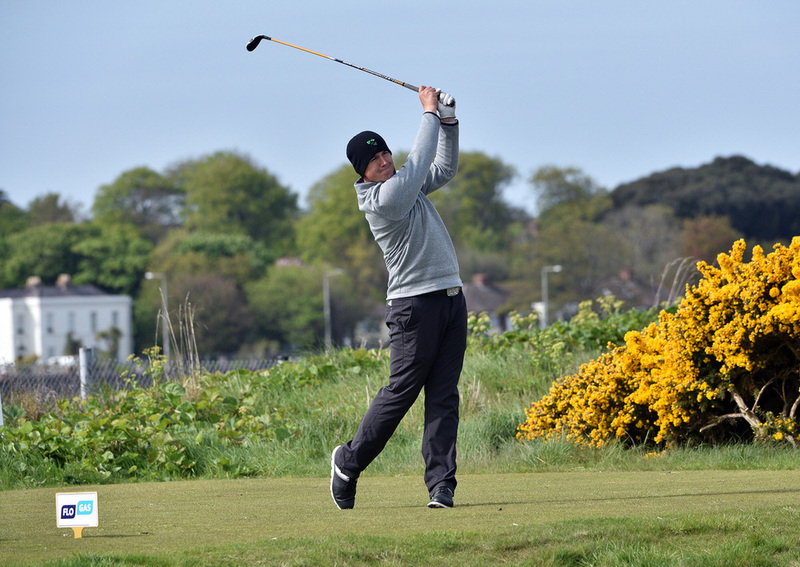 Like Campbell, McLarnon is keen to win another big event having made the breakthrough in last year's Irish Close at Tramore. "I am happy the way I am playing,” the 24-year old said. "I have been showing glimpses of good golf and hopefully this week it will all come together. Hume was slightly disappointed not to take advantage of the easier holes but happy that he's involved in a marathon, not a sprint. "I am not in a bad position," said Hume who followed a birdie at the fourth with bogeys at the fifth and ninth, then birdied the 10th and 11th before handing back a shot at the 15th. England's Matthew Jordan is alone in seventh after a pair 70s with Welshman Evan Griffith firing seven birdies in a 67 to share eighth on three under with Portmarnock's Conor Purcell (72) and the Island's Kevin Le Blanc. who celebrated his 18th birthday but shooting 69. 14:31 McLarnon, Penge, Campbell Jnr. 160 Benjamin Kinsley (Scotland) 77 83.